EERE - To complement the Obama Administration's launch last week of the Advanced Manufacturing Partnership, U.S. Secretary of Energy Steven Chu today announced a series of new manufacturing job training partnerships using the Department of Energy's National Training and Education Resource (NTER). 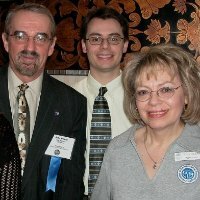 DOE will be partnering with the Manufacturing Institute, an affiliate of the National Association of Manufacturers (NAM), the Ford Partnership for Advanced Studies, and Macomb Community College to explore opportunities to provide students with highly interactive and engaging materials in a variety of science, technology, engineering, and math (STEM) areas, as well as virtual technician training. Partner organizations will be able to access the federal resources available through the NTER—an open-source, web-based, interactive learning environment—and be able to develop new training programs and materials. "The public-private partnerships we are announcing today will play an important role in educating and training a new generation of U.S. manufacturers," said Secretary Chu. "These organizations and others nationwide will be able to leverage the Department's online education platform—the National Training and Education Resource—to develop and distribute training materials quickly and cost-effectively." 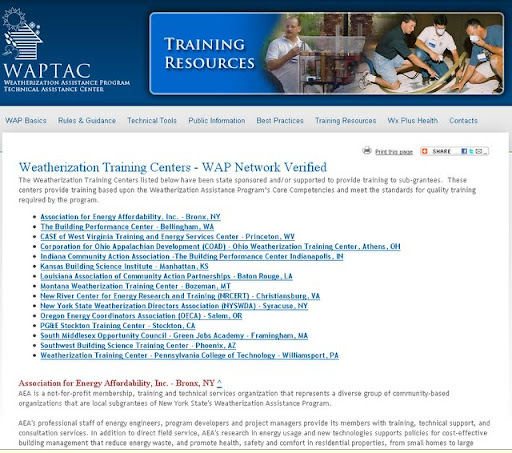 To learn more about NTER, visit the National Weatherization Training Portal.